Liam and Nathan truly represent National Tyres in away that can only be described as EXCEPTIONAL. They treat your vehicle as if it's their own and, they treat you as though they've known you a while. In my 30 odd years of driving I have never come across a company that cares. Work completed quickly and for a good price. I turned up 10 mins earlier than my 9:00 am booking for the fitment of 4 Avon tyres. I was welcomed at the desk by Liam Wigmore who booked my car in, and put me in the picture about the 2 jobs he had to do first, the current staffing situation, also recommending a wheel alignment. All very pleasant and polite. I went down to Sainsburys for a coffee and a good read of The Times. Returned 90 mins later to find work was well under way, encouraged to see that loose flakes of alloy wheel paint were being brushed off in the area where a good seal is vital; not something that I'm used to happening at Kwik-Fit resulting in always having to top up air pressure because of it. Liam informed the wheel alignment was within tolerance, but opted to go ahead and have it done. The result is a 14 year old Clio that drives like never before, inspiring confidence and steering completely true. Very helpful and informative - excellent service. 16/09/2018 went in to 48-52 Alphington Road Exeter Devon branch as we were in desperate need of a new tyre for our car, it is very difficult on a Sunday to find anywhere suitable that is open, we did try Kwikfit first but were unsuccessful so we came to this branch of National tyres, which we are so glad we did and will do so again in a couple of weeks for another tyre. Well the gentleman that served us and dealt with us Liam Wigmore was extremely helpful, knew exactly what we needed, gave us all of the relevant information, he even did the fitting and explained all of the aftercare. His customer care was first and foremost and he is a credit to this branch. Thankyou so much and we will be back for our next tyre in a couple of weeks. Nathan helped me twice with both my cars within teo weeks. Found what I thought was a good price on the tyres, was efficient, professional and friendly. We will be back next time! Exceptionally polite and accommodating staff. I cannot rate the Exeter branch of National highly enough. Nathan and the team there are always friendly, reliable and I trust their opinion and workmanship completely. I took my car to another well known chain for an MOT last year, thinking it would be a similar experience, and quickly regretted my choice when they spoke to me as if I had half a brain. (The man that served me actually swept his hair back and swung his feet up on the desk to talk to me. It was like having a conversation with David Brent from The Office.) My car was back with National within the hour, and I would not go anywhere else again! The team at National in Exeter seem to take genuine pride in customer service, and nothing is too much trouble for them. Thank you to all of them for providing such a stress-free service! Better access from the carpark to reception for people with children. I went to the Exeter branch to get some brakes replaced at very short notice the next day. I called them up and they managed to get it in and do the work. I picked up the car after work and they had it all done for a very good price! Thought it would be alot more expensive! Will definitely use again. Could accommodate my needs at short notice &, courteous service. Have had great service for many years and will continue. Staff are friendly and courteous, the MOT was completed quickly and the subsequent work required was quoted for, undertaken and completed within the next hour. I went in for an MOT but knew my tyres were also on the limit, they fitted me in at short notice, sorted the tyres at a great price and still arranged for the MOT that day. Great Service, Great Price, what more can you ask for. very helpful, recommended most effective solution and make recommendations for future. Alphington rd Exeter Branch- The staff were very professional, waiting room very clean and staff made us a cup of tea. The reason we have given this score is because they were recomended to us & we have found that they are very good & relieable to there customers so we would all ways send people to them. Always very helpful and willing to put themselves out to provide excellent customer service at best price. Excellent; service, price, and expertise as well as warm place to wait. Good friendly staff, reasonable prices all round. Staff were polite, professional and did what they said they would. The help & friendly staff and the service provided on my visit . From my initial phone call to the full fitted exhaust was excellent Nathan was very help answered all my questions in a friendly and professional manner. This was one of the main factors in me booking my car in with you. Friendliness, efficiency and being helpful. good value and polite service. Helpful and polite staff,always advise and explain about any work needed before doing said work. 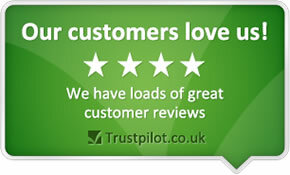 good service online and very good at the depot, Alphington Road,Exeter. Quick service and polite personnel Nathan dealt with me. The staff are very helpful and polite. Good prompt response by staff who were very helpful and did their utmost to minimise my bill. 1. Even though under staffed that day they went above and beyond making sure my car was right - as staff noticed the previous owner had placed all four wheels back incorrectly on the car during a tyre replacement. 2. I was advised of up and coming issues on my car which prepares me for the MOT bill and time to get the funds together. 3. The general likeability of the guys, there demeanour and friendliness, as a consequence I have booked my MOT with National Tyres Exeter. Have always been pleased with service & care. I had a nearly flat tyre on a Sunday morning, on ringing the branch they said bring it in straight away and they would look at it. Within 20 minutes they had rung to say that instead having to have a new tyre it was just a valve and tracking which was needed which I thought was brilliant. Very helpful, speedy service (in and out with 2 new tyres in under 35 mins), reasonable price. I took my car in to have a tyre replaced. The mechanic advised me that he had noticed the catalytic converter needed replacing, and my exhaust. I am glad he spotted this, as the car handles so much differently since having this fixed. He fixed the car within a matter of hours which was great. Friendly, fast, cheaper than vw garage, very helpful. Never met a more honest and helpful bunch. Best garage I have ever used. Well done! The customer service was first class. We visited the Exeter, Alphington Road, branch on Sunday 25 October in the afternoon and the young man was extremely helpful and polite. The customer service was excellent, spotting problems and recommending sensible courses of action. The speed of service was excellent too. It was very easy to book my MOT on line. The staff were very friendly and efficient when I took my car in. And I was kept up to date with the progress. Good value, good, quick service and friendly staff. I turned up without an appointment having had a puncture and running on the space saver. The service was polite, friendly, prompt and efficient. They have restored my faith in car servicing places. They have not taken advantage and tried to do work that didn't need doing. They are also very reasonably priced, especially the offers. I was dealt with by Nathan - excellent manner and the work was done by David - professional workman. good service. good prices. honest. The member of staff that helped me was friendly, helpful and the price was reasonable. Good price and professional staff - I do not feel that they try to do work unnecessarily. competitive prices and knowledgeable staff. We were most impressed with Nathan today who was polite and reliable. The level of customer service given by Nathan at the exeter branch was excellent and professional. Brilliant, helpful, cheap, polite and not rip off merchants! After driving for 35 years, the branch in Exeter seems to be the first garage where a) they don't try and rip you off and b)they don't see a female walk in and pound signs flash up! Really chuffed to have found them. Been using them for 3 years now. the new tyre which was to be fitted was sold but I was offered a good alternative . the MOT did not involve unnecessary delay. Every time I have used national tyres I have had my car seen to when I have requested. I feel I can trust the service I have received. Friendly helpful service, always good availability - often don't need an appointment. Very competitive on price. Very good all round service at a very good price. Thank you Guys, Many thanks. Courteous,prompt attention when called at the Alphington road Exeter ranch today 22 July. Within 40 minutes the exhausts Loose rattle was fixed and 2new front tyres fitted,aligned and balanced..
staff very helpful. Car was ready when we came back. Have used them for tyres previously, was very impressed so decided to use for MOT also they were the cheapest. Staff curtious and interested. Work undertaken good. Though I was only in for an MOT I witnessed a fitter genuinely unhappy about a cars condition and the manager clearly preparing to call the customer with the bad news and trying to resolve the problem. Very prompt, competitive, efficient service plus a friendly approac. My tyre had a blow out and I needed it to be fixed quickly so that I could get home in time to get my son to his school prom. The 3 guys at National Tyres in Alphington Road, Exeter were brilliant. They got on it straightaway and were really quick and I was able to make it on time ! I was really relieved and really appreciated what they did to assist me. Open on Sat 16:40 Good service. Good location. Good discount with Aa. Like insurance. Everything explained with great patience. Warm friendly staff. I knew this would be the case and I insist my daughter uses National. Sincere thanks. David Ireson. Helpful, honest, fast service. Excellent advice. Couldn't fault anything. Michael Harris served us. Excellent service. Brilliant service from your staff in Exeter after my recent blow out. Website easy to navigate. Excellent response from local dealer. Very professional service. Quick and stress free! Very efficient and flexible (accomodating additional oil change requested when this hadn't been booked in), called me back on 2 occassions during the day to advise that the work had been completed, friendly and great customer service. Very competitive prices as well when factoring in the available discounts. The prompt, courteous and efficient service and reasonable prices. Really kind, professional and helpful! Very helpful and got the job done. Found an odd sized tyre in a day. Thank you. Very thorough and explanatory to problems and how to fix. Customer service very good. Helpful, efficient service. Nice not to feel that the garage wasn't looking to do jobs that weren't necessary to make money, only gave advise without pressuring. Good opening hours. I was quite happy with all round service I received. The service given was very good and were very professional over the car checks, showing the issues that were found. Arrived at 08:30 Saturday morning - was leaving by 09:30. The tyres were booked online with AA, the tyres were in stock, and work started on the vehicle within 10 minutes of arrival. I have previously shied away from National Multiples due as have had reason to doubt their honesty of purpose to the customer. However, happenstance threw me into National Tyres Exeter and my observations were of a conscientious well led team, doing a good honest job. Very pleasant people. I now take 3 cars for MOT's and Tyres. Impressed with the thoroughness of the inspection work and the double check of tightened wheel nuts. Convenient quick booking for MOT. Friendly service, clear explanation of outcome with details of available offers. No hard sell attitude will encourage me to return. Waiting area could have had newspapers or magazines for reading. Prompt and timely services by knowledgeable servicemen. Very good customer service and workmanship. Very quick & efficient and were able to fit me in at short notice. Cost. It would have been higher if customer care was improved. Excellent service completed on time and very friendly and helpful staff. The Service i Received was quick and efficient, witha proffesional attitude. The Exeter garage offers a friendly and honest service. On two occasions recently Dan and the team have worked on my vehicle. Most recently they fitted me in last minute for an MOT and their honest service saved me over £200 compared to another local garage. The staff are friendly and as a female driver you feel comfortable and trust their advice. A thank you to the staff there for saving me money today and being honest. Work completed really quickly and was a hassle free visit. Good Customer service, prices, and used before. Excellent Service, and staff always pleasant!!! Very helpful staff, on time with free drink whilst one is waiting. Slightly lower score as I failed the MOT and had to have 2 new tyres for reswhich I had not researched so they cost more than I wanted to pay. A fast and effecient service at a reasonable price. Good booking, appointments soon, staff friendly, prices OK.
A fast, effecient service at a reasonable price. Fast and friendly service at a fair price. Professional service , polite ,friendly and honest. My appointment for an MOT was set for noon on 6/11/2012. Work started just before that time and was finished within the hour. The Manager, Rick greeted me with a smile and politeness and the whole experience was good for me. I have never used National Tyres before but will most certainly do so in the future. During my visit to my local centre yesterday to have an MOT, the staff were friendly, helpful & willing to answer any questions. Excellent service and good prices. Ease of booking at local centres. Would have been 10 but waiting room needs more to keep people occupied especially if women are there when they are waiting some tines for over an hour. Copies of daily newspapers would be ideal. A complementary cup of tea or coffee would be very much welcomed for longer waiting times such as for when parts have been ordered and are in transit. Longest wait I personally had was earlier this year and was almost two hours but not at the newly opened Exeter branch. A fast, friendly, professional service at a competitive price. My wife phoned late in the afternoon having suffered a non-repairable puncture. The car was booked in for 0830 the next morning when a reasonably priced tyre was fitted (from stock) and the car was back on the road within half an hour.